Just because you can’t see your car air filters, doesn’t mean they’re not important! You may not think about these components very often, but they’re still crucial pieces of equipment, and installing a new filter can make an enormous difference on your daily drives around San Fernando Valley and Bakersfield. Our Valencia Toyota service center has all the answers you’ll need to keep your air filters in prime condition. What does an air filter do in a car? You’ll need to know the answer to this question before you go about changing your car’s air filter. First, it’s essential to distinguish between engine air filters and cabin air filters. An engine air filter prevents your engine from being damaged with dirt, dust, sand, and other contaminants, but if it becomes clogged, your engine air filter can start to negatively impact your vehicle performance. A cabin air filter is used to decontaminate the air that your vehicle brings into its cabin. A clogged cabin air filter won’t affect performance as much as a damaged engine air filter, but it will take some of the enjoyment and comfort out of your daily San Fernando Valley-area drives. So, if you find yourself asking, “What does an air filter do in a car?”, you’ll know that there are two different air filters from which to differentiate. How Often Should Engine Air Filters Be Changed? It’s a good idea to change your engine air filter every 30,000-45,000 miles. However, if you frequently drive on dusty roads or in exceptionally hot climates, you’ll want to check and replace your filter more often. Check your Corolla’s or RAV4’s owner’s manual for more specific recommendations. How Often Should Cabin Air Filters Be Changed? If you frequently drive along dusty, dirt-paved, or gravel roads, you’ll kick up a lot of debris that could get trapped in your cabin air filter. In these situations, you’ll want to change it more frequently. How have your allergies been? If there’s been a lot of pollen and mold spores in the air, your filter could become clogged, and less effective. If things have been bad in recent weeks, you might consider a change. Although air quality can be pretty poor in a big city like Los Angeles, the lack of larger particles in the air will help your filter to work more effectively over time. If your cabin air filter has been specially designed to limit fumes and unpleasant odors, it will almost never last more than a year. How do I Tell If a Cabin Air Filter Needs Replacing? Have you been noticing problems with your AC, heating, or climate control systems? Poor airflow might be caused by a clogged air filter. Noticing more strange smells in your vehicle? It could be that your cabin air filter is no longer doing its job. If you’ve been dealing with air quality problems, it’s time to pick up a new cabin air filter from Frontier Toyota, by Palmdale. In Toyota models, the cabin air filter is located behind the glove box. You may have to remove a plastic debris cover before making the replacement, and you should clean the area thoroughly before getting back on the road. 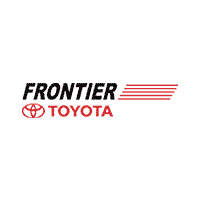 Get a Car Air Filter Replacement at Frontier Toyota in Valencia, CA! Want to have the Valencia experts take care of your dirty air filter? Whether you’re dealing with a faulty engine air filter or a well-worn cabin air filter, our experts can get you in and out in no time when you schedule service at Frontier Toyota, today! Be sure to check out our service specials before you visit. If you have additional questions Toyota parts, do not hesitate to contact us online. Prepaid Card with Break Pad Purchase & Installation! Brake pad purchase and installation.